“Pass the popcorn!“… When most people have watched a movie, whether they love it or hate it, they like to tell people about it. 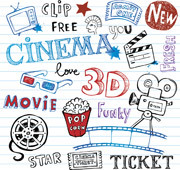 After this unit you’ll be better at doing this, through learning English words describing reactions to movies and words for parts of films and the people involved in making them. There’s also lots of good English listening practice, as you hear Stuart and Alec answering movie related questions. That’s what we are trying to do! 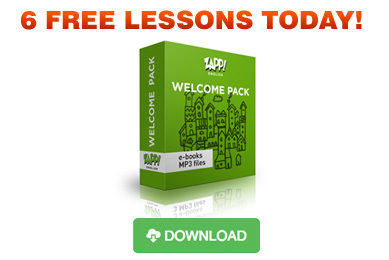 If you are pre-intermediate or intermediate, we recommend you start with Zapp! English Vocabulary and Pronunciation Level 2. Thank you so much for these Audio episodes. I really like them. I’m currently studying English in Australia and I enjoy doing that a lot. My English level is getting better and better but the problem is that I need more academic English to help me fulfill the English requirements to get to the faculty. Could you please give me some advice to help me out more. I’ve already taken the Ielts test and I have got 7.5 for speaking, 7 for listening and 5.5 for reading and writing. I really need some kind of advice to push me up further to achieve band 8 or more. I want to be like native speakers. I feel that it is not impossible at all. Hi Obaid, thanks for your comment, I have forwarded this to Katie for her to reply to as she’s definitely the expert in this area. What a good site you have!